Are you a woman at least eighteen years of age and descended from a man or woman who aided in achieving American Independence through service to our nation? 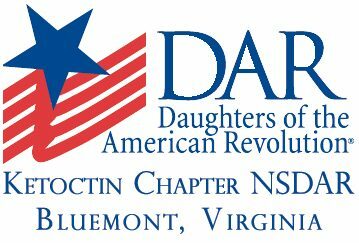 If so, then you can become a member of the Daughters of the American Revolution. As a member you become part of an organization of more than 180,000 women; forming lifelong bonds, honoring revolutionary ancestors, promoting historic preservation, education, and patriotism in the community. Ketoctin is one of two DAR chapters in Loudoun County. You may use the National Chapter Locator to find a chapter near you. Interested in joining the Ketoctin Chapter NSDAR? Our chapter meets the first Tuesday of the month September through May at various locations throughout Loudoun County. We welcome all inquiries and comments. We will gladly assist you in completing the membership process to becoming a member of the Ketoctin Chapter NSDAR. We kindly ask that you have genealogical information about your patriot and have begun gathering your documents. 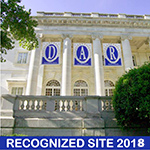 You may contact us or visit the NSDAR website or Facebook page, or the Virginia DAR website or Facebook page for membership information.